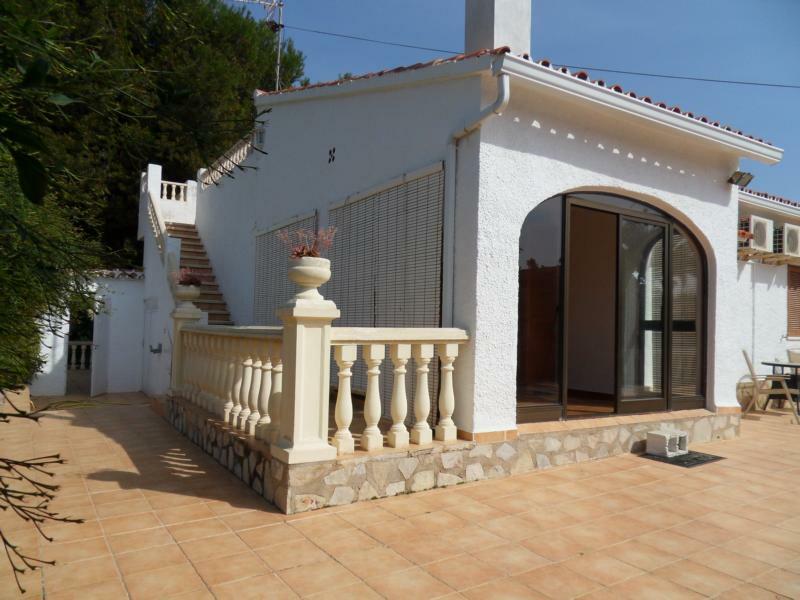 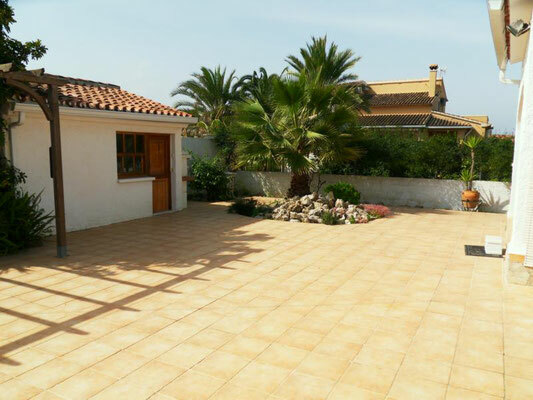 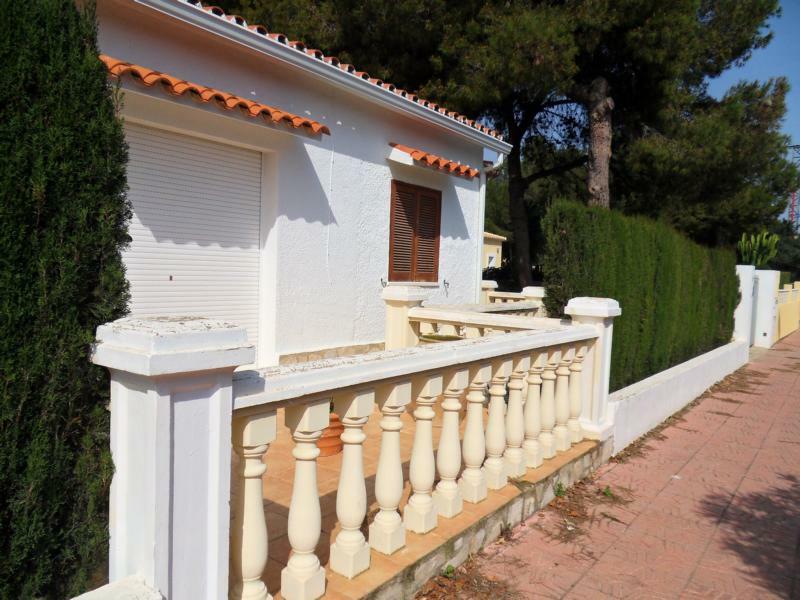 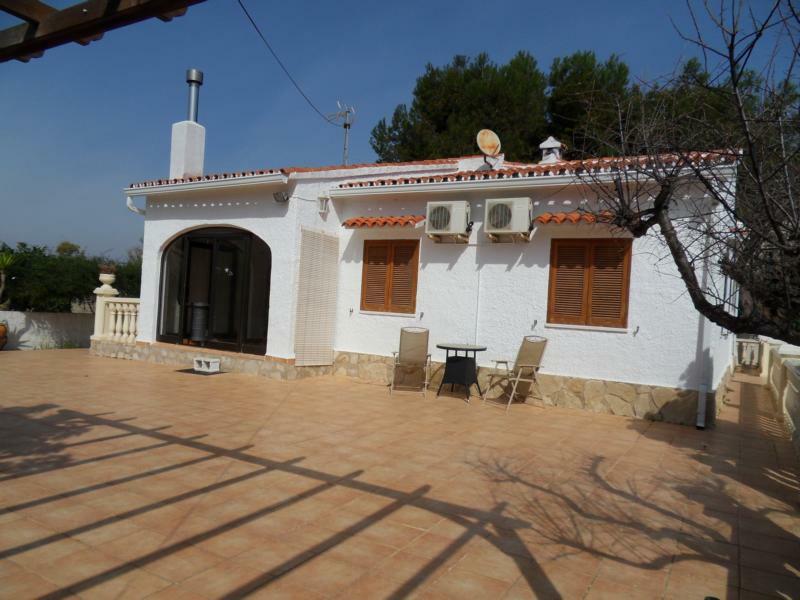 Spacious villa with a large, completely fenced plot in a peaceful and all year through sunny area of Els Poblets. 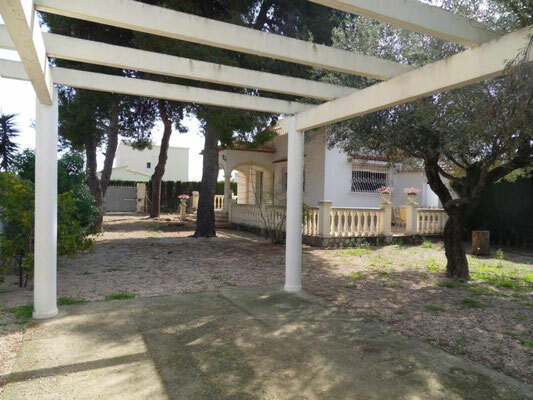 The entire living space is on just one floor and the 725 m2 plot offers various terraces all around the villa, a carport, a storage room, a cute summer kitchen, a BBQ area and a solarium terrace with panoramic views. 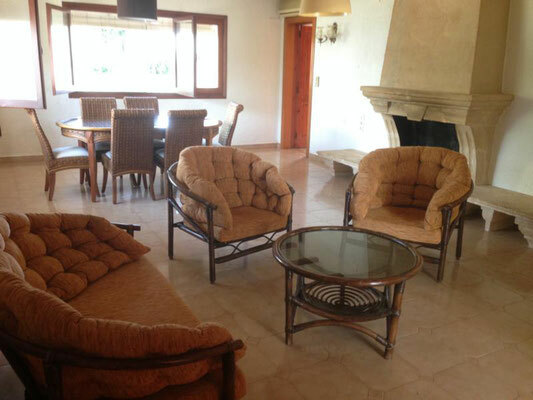 The inside of the house has 2 ample bed rooms with air conditioning, a shower bath room, a separate toilet, a large lounge with dining area and feature fire place and air conditioning, a spacious built in kitchen with acces to one of the terraces and a glazed terrace which can be used as another living room as it has a little stove. 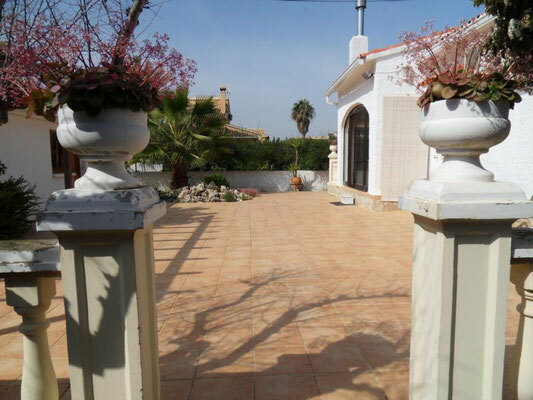 The outside staircase leads up to the top terrace with beautiful panoramic views. 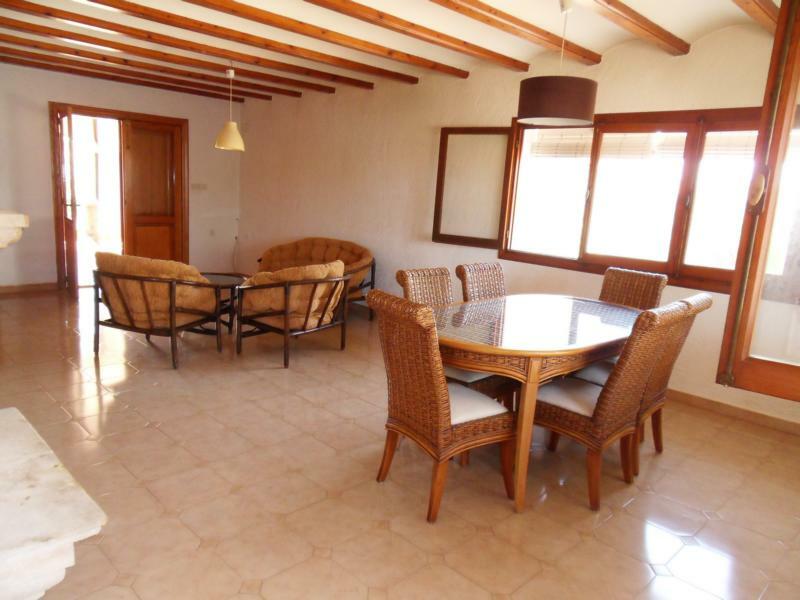 Behind the villa there is more large terrace space with a BBQ and a fully equipped summer kitchen. On the other side of the plot there is an ample garden with further terraces, a carport and space for building a pool if wanted. 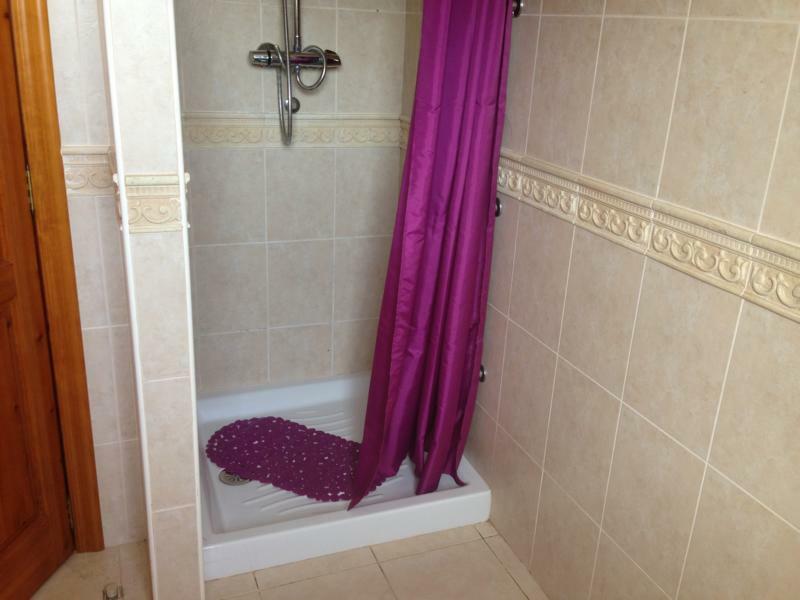 Feature fire place, stove, 3 air conditioning units in the lounge and the bed rooms, electric radiator in the bath room, fully fitted built in kitchen, built in wardrobes, summer kitchen, BBQ area, storage room, carport, large outside area. 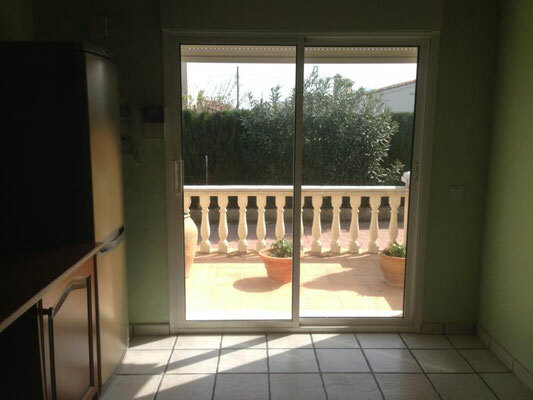 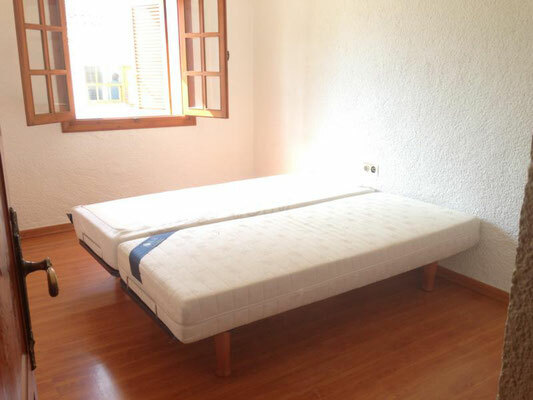 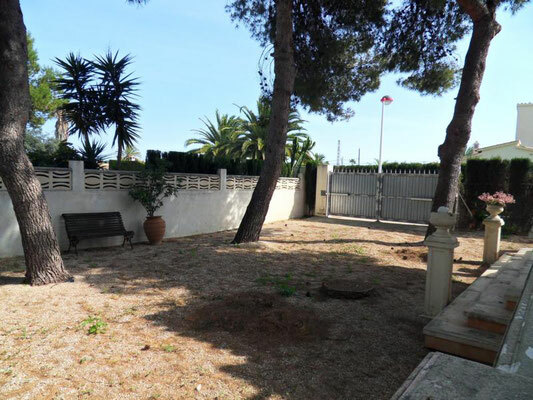 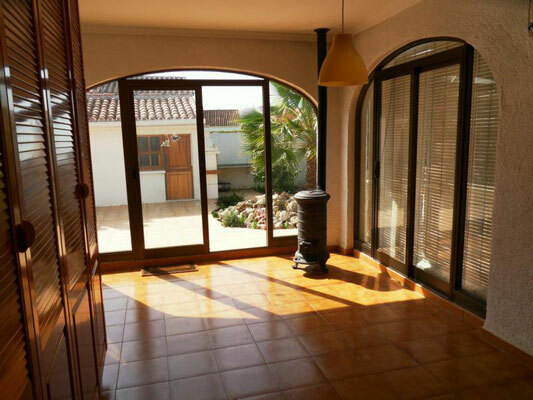 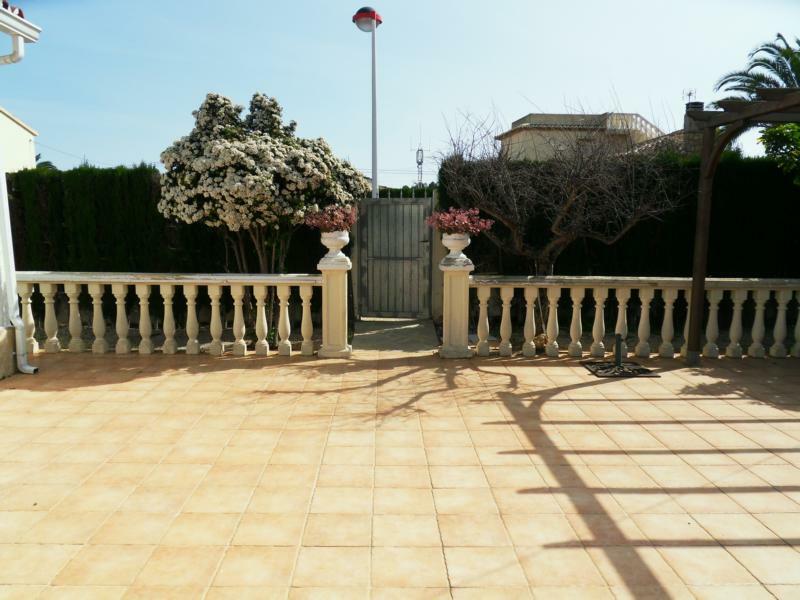 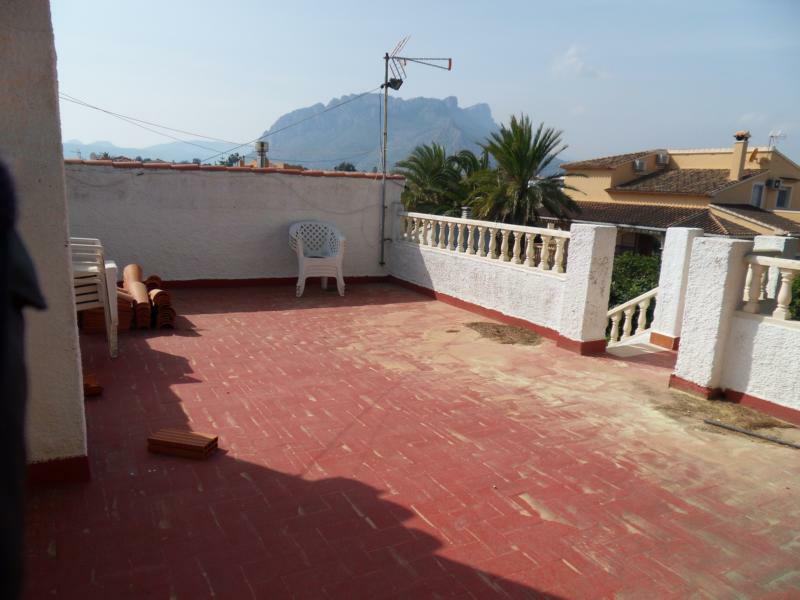 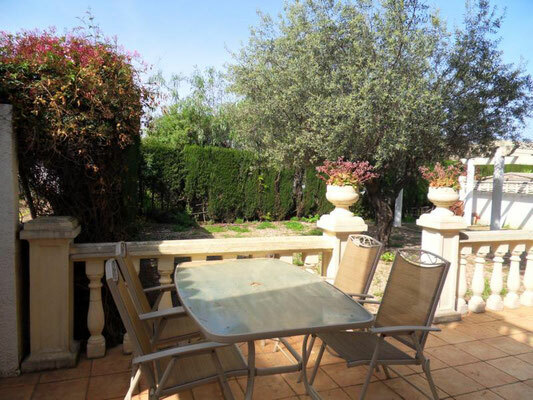 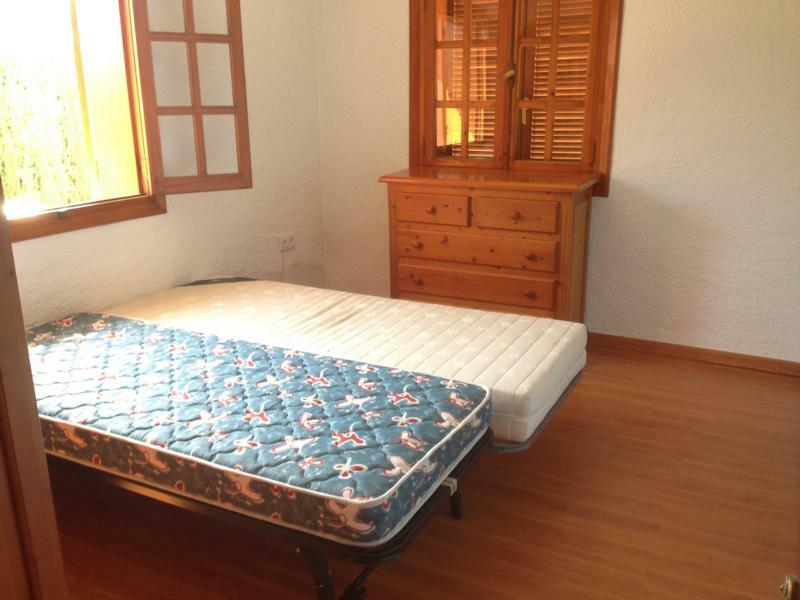 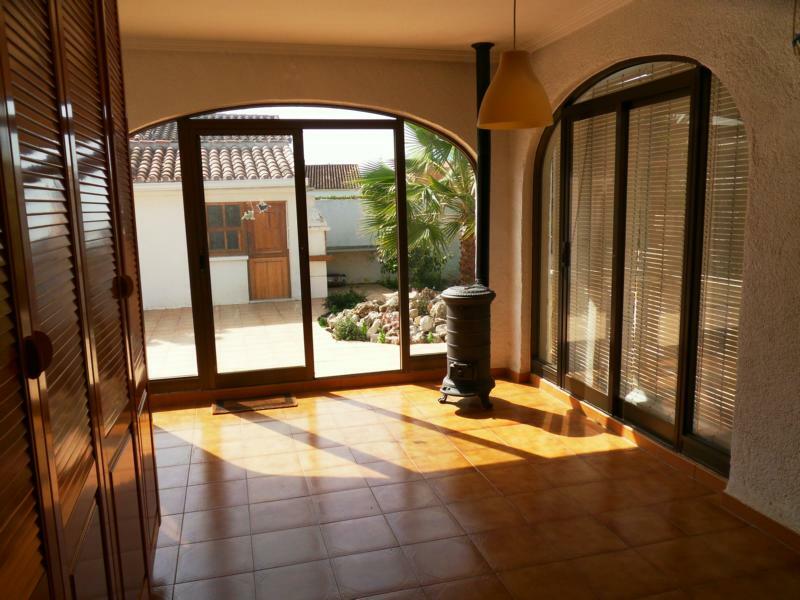 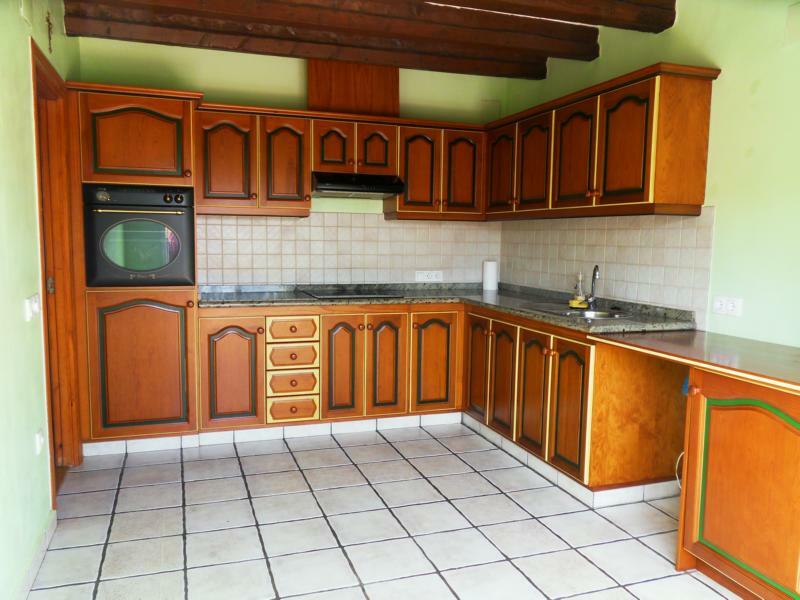 Calm and all year through sunny location in residential area of Els Poblets, cul-de-sac. At only a few minutes from the village centre and the beaches. 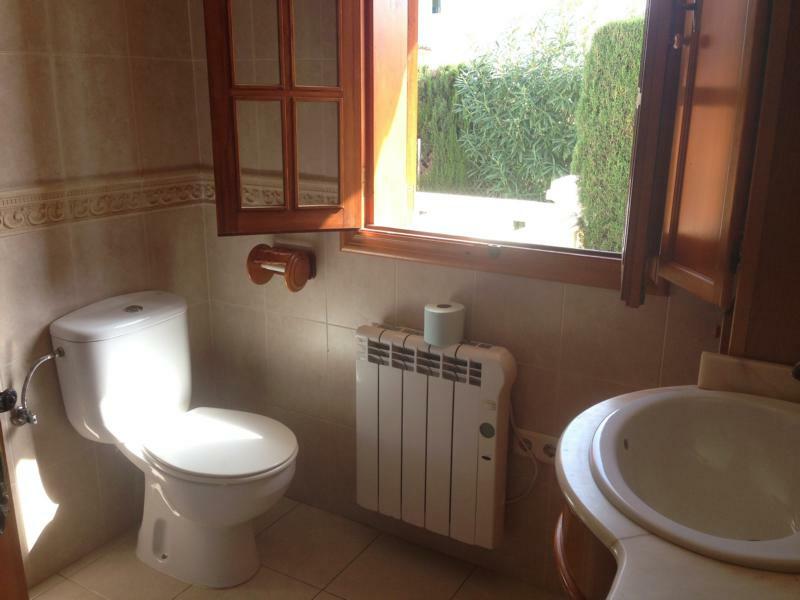 Els Poblets offers a good infrastructure with all you need for your daily routine. 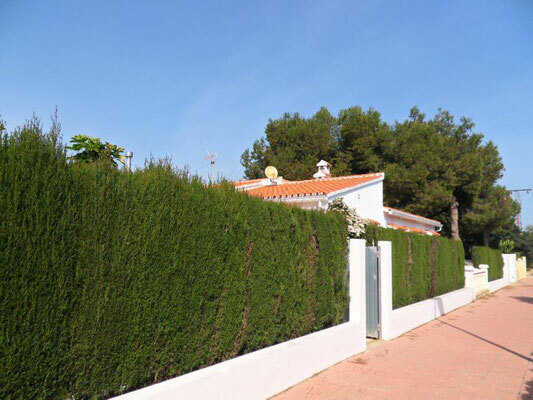 The city of Denia, at 8 km, has endless shopping facilities, a modern hospital and a large offer of leisure activities, a modern Marina, a fishing port, an interesting historic centre and an impressing number of good restaurants. 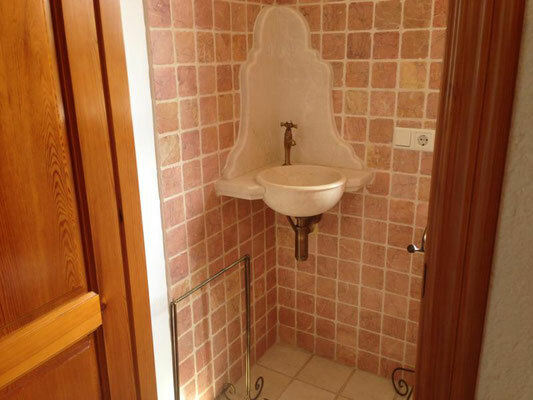 2 renowned golf courses (Oliva Nova and La Sella Golf) are at just 9 resp. 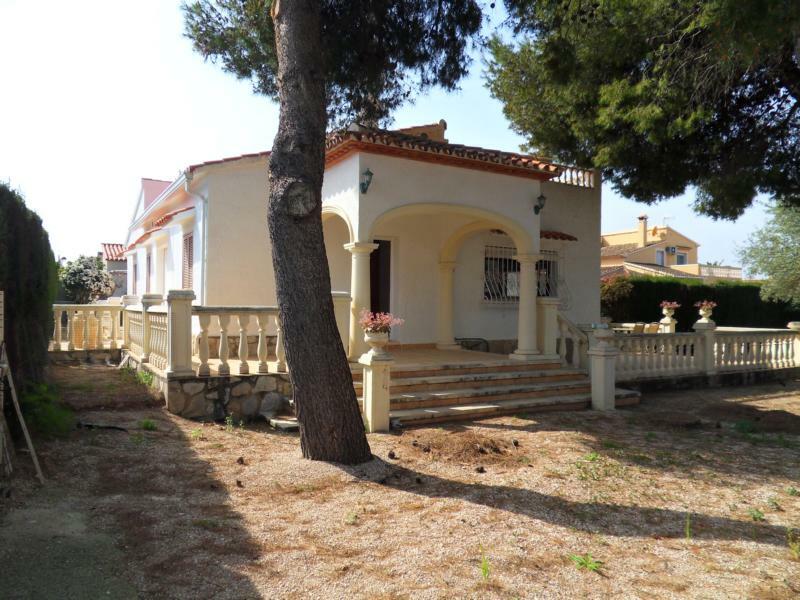 12 km from the villa.